Promo period is from February 1 to March 31, 2019. 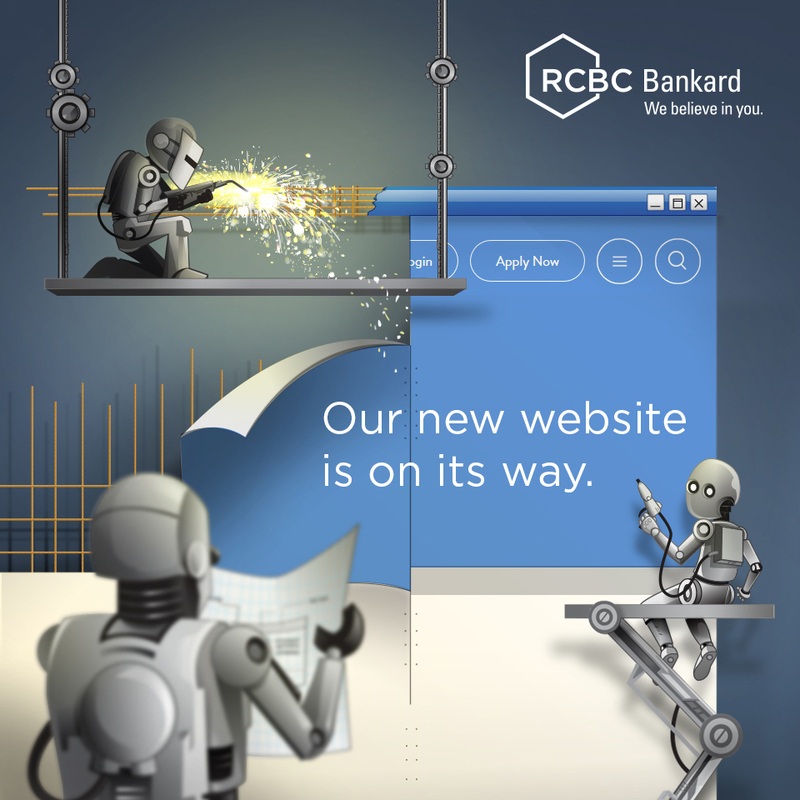 Promo is open to all active Principal and Supplementary RCBC Bankard JCB cardholders with good credit standing. 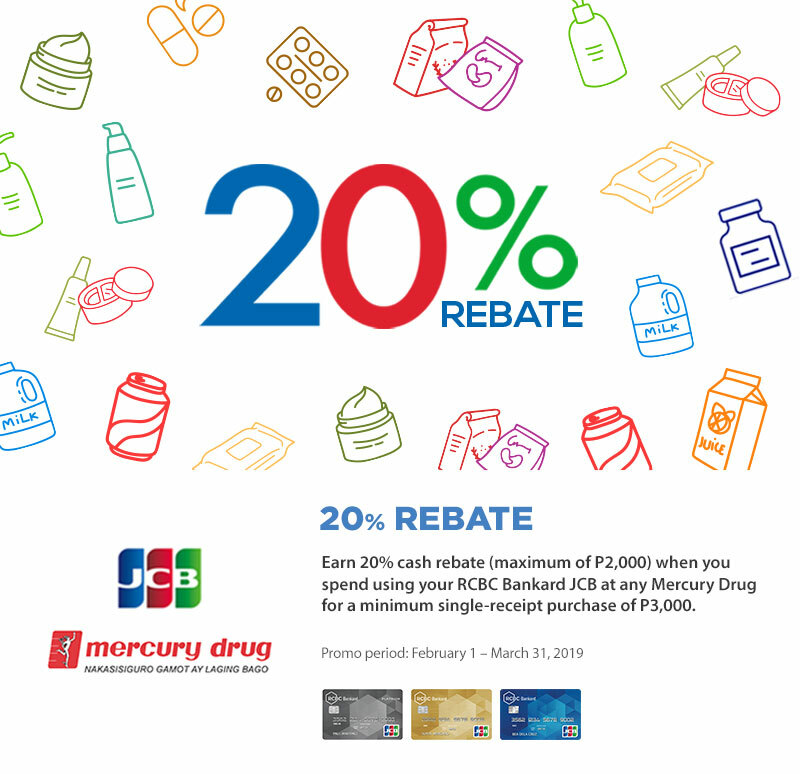 Qualified cardholders can get 20% Cash Rebate for a minimum single-receipt purchase of P3,000 at any Mercury Drug store nationwide using his/her RCBC Bankard JCB. Cardholders can earn a maximum of P2,000 worth of cash rebate for the entire promotion. Cardholder must charge the total amount of transaction to his/her qualified RCBC Bankard JCB card through a point-of-sale terminal at any Mercury Drug stores nationwide. Crediting of rebates earned will be posted to the Principal and Supplementary Cardholder’s account within 25 banking days after the conclusion of the Promo. This will be shown on the Cardholder’s billing statement. Cardholder must be active and of good credit standing at the time of crediting of the Cash Rebate, otherwise, the Cash Rebate earned shall be forfeited. Rebates awarded are non-transferable and non-convertible to cash, however, it is treated as a credit or payment for purchases or any outstanding balance on the Card. The JCB-Mercury Drug Cash Rebate Promo cannot be used in conjunction with other ongoing promos and is subject to the Terms and Conditions governing the issuance and use of RCBC Bankard JCB card.